It’s finally here! Our signature event of the semester will be held this Friday. 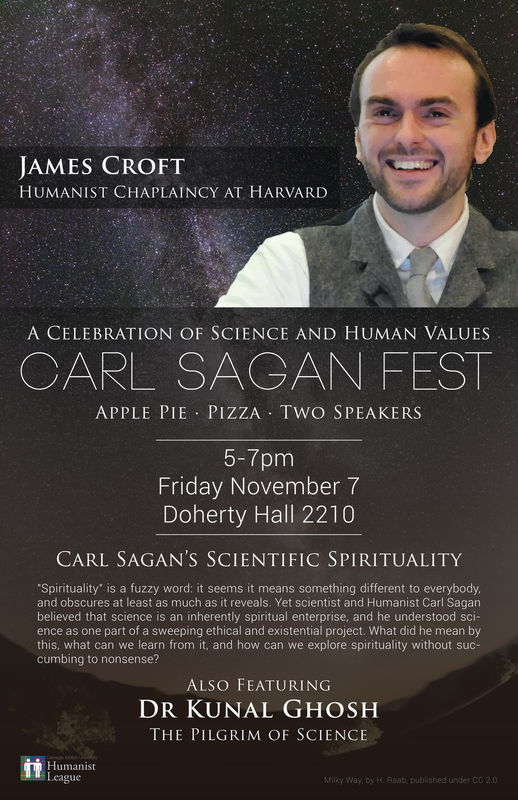 Join us for a campus-wide celebration of science and human values, and to commemorate the life and works of scientist and humanist, Carl Sagan. 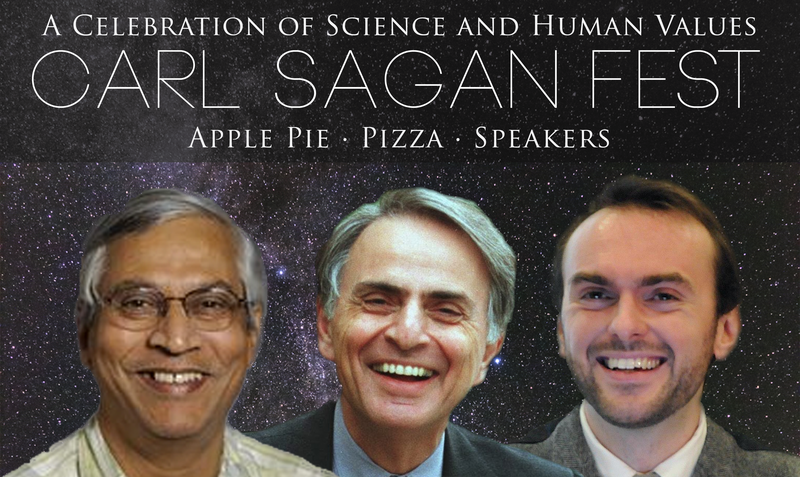 We have two exciting and engaging speakers lined up, as well as pizza, apple pie, Sagan videos and tons of fun. Spread the word and bring your friends!